One of those “backward” steps involved my mom. It was tough when I first told my mom that we planned to take Elliot out of public school and home school him. I cautiously explained to her that we planned to take a week long training course to learn a new therapeutic modality that also included how to train others to work with Elliot. Knowing that my mom has always been a huge proponent of formal education, I was a bit worried about her response to this new information. The first thing she said upon hearing my statement was, “Aren’t you worried it’s just one more thing you’re going to try that won’t work?” This statement completely stopped me in my tracks. At that point, I felt that if I could replace even a little bit of my feeling of responsibility to “fix” Elliot with acceptance of him, it would be a dramatic improvement. So, the decision was made. We spent the money and prepared to learn how to homeschool Elliot. I prepared for our trip by reading all the books that corresponded with this new approach to autism. This new thinking certainly did not deter me from my goal to help Elliot be the “best Elliot” he could be – it simply changed my way of thinking and how we lived. As I read, I began to put into action this new way of thinking about my son. One day, Elliot and I were at Disneyland riding “It’s a Small World” when our boat stopped in traffic near the end of the ride – definitely far short of the dock where it is supposed to stop. Elliot screamed at top volume, “WE’RE STUCK! !” At that moment I believe every person on the boat whipped around and shot a look at him. I rapid fired a quick look back at ALL of them and then I decided to join Elliot by yelling back with all the Dora the Explorer exuberance I could muster, “ YOU’RE RIGHT! WE ARE STUCK! WHAT ARE WE GONNA DO NOW? !” Lo and behold, everyone on the boat turned back around to face forward, speechless. Elliot and I continued our discussion in a way-too-loud-to-be-appropriate volume and I didn’t feel the least bit self-conscious. In fact, I felt great! For the first time in Elliot’s life, I had chosen my son over the reactions and judgments of others. AND, where before Elliot would have a negative emotional response to my un-ease, this time he was smoothly going with the flow. In that moment, Elliot seemed happy and I felt a new kind of connection with my son that I will forever cherish. From that moment on, I vowed to never put strangers’ feelings, judgments or comments ahead of my son. I would always put my son first. A shift in both my thinking and way of being had begun on “It’s a Small World” that day. Rock solid change would then follow when I totally replaced one way of thinking with another. Needless to say, we went to the home school training and we have now been running a home program for Elliot for the past 5 years – Elliot is now 11. I have come to call this journey “our path to acceptance”. Sometimes it has been an uphill battle. We worked hard on ourselves – realizing how to choose happiness and how to balance acceptance with not giving up. And, most importantly, learning how to truly love Elliot just the way he is. Upon further reflection, it wasn’t until we changed our priorities from trying to teach him to communicate our way (like it was the only way) to focusing our desires on connecting with him in ANY way (mostly HIS way), that he started to come back to us. That’s when we began to have a more meaningful relationship with our son. Most recently however, I realized that the path to acceptance was not the “end all” I thought it would be. Upon reaching the top of the acceptance mountain, there was actually something more waiting for us – JOY! Joy in the uniqueness and awesomeness of our son just the way he is; joy in our different little life; and joy in all the amazing people, experiences and discoveries that Elliot has brought into our lives. Loving what is and what can be became our way of life. God Bless you and Elliott and the rest of your family! We, too, are on our own *autism* journey and your story is a beautiful one for ANY family! It doesn’t matter who your child is or what they may or may not be able to do, if more parents (and people in general) learned to love their kids and others right where they are, this world would be a kinder, gentler place! Thank you for reminding me of this important lesson! Hi , was this Lisa or Laura writing ? I have to comment about your breakthrough in this article. My daughter, who has aspergers, and I, share a very good level of communication for exactly the method you describe – I talk with her on her terms. It means I can always get to the heart of any matter and, she can always explain to me what is going on. This is an evolving process of course, and she is always learning about various communication rules and protocols for interacting with other people. It does make our life alot of fun since we can do mundane things together and also joke around, we joke around quite alot. Still where-ever we are, whatever we are doing, she knows she can always get through to me. Hi Tabitha- it is Laura. We try to provide an author for each post because we will and have had so many guest posts. We hope to share more! Very nicely written! We are a homeschooling family as well. We have found that the best way to get our daughter to engage in our world is to *first* engage in hers. I call it, “Wow you can do what I can do. Leads to, I can do what you can do.” But it had to start with us, doing what she does. So we copy quirky things that she does, doing them with her, and she loves it. It built a communication between us that had been lost. And it encouraged her to mimic us, in useful life skills. It also made her feel like more of a part of the family. It has produced wonderful changes in her life. Thank you for sharing. Today was one of those very difficult days with my son that I really needed to hear a story like yours. Wonderful blog Laura! Your comment “From that moment on, I vowed to never put strangers’ feelings, judgments or comments ahead of my son. I would always put my son first.” is so powerful! Thank you for you story & your Elliot is a doll! Yeah Laura, you stood your ground and stood up for Elliot. I’ve always held a place in my heart for Elliot, that little tiny sweet baby. Everything you have done for and with Elliot has brought him to the happy and satisfied place he is, and you are there with him. Deadly accruate answer. You’ve hit the bullseye! Laura…i’m proud of you! 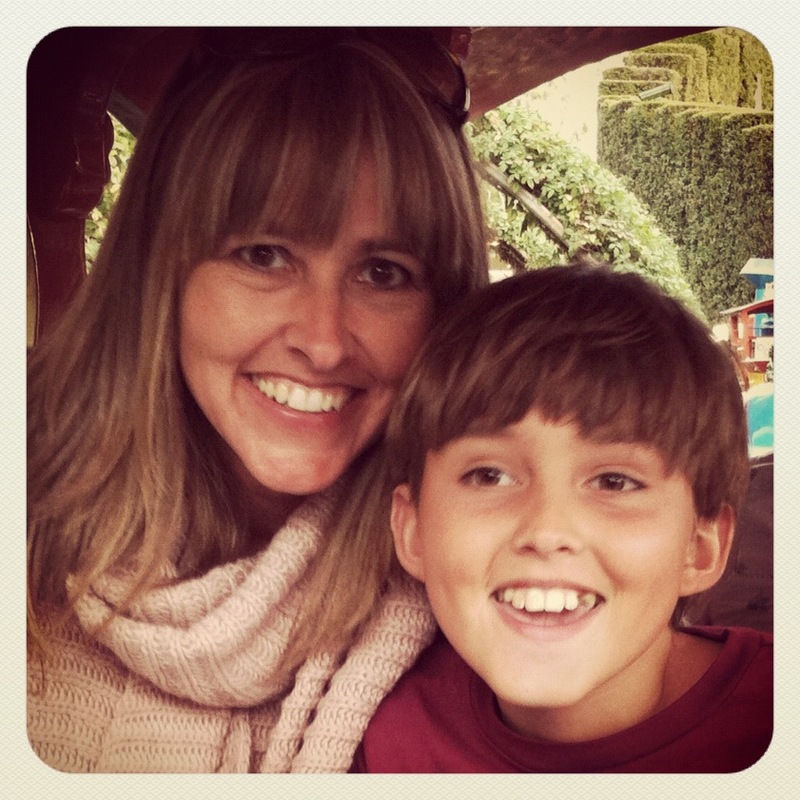 It takes a tiger mama to raise an ASD. 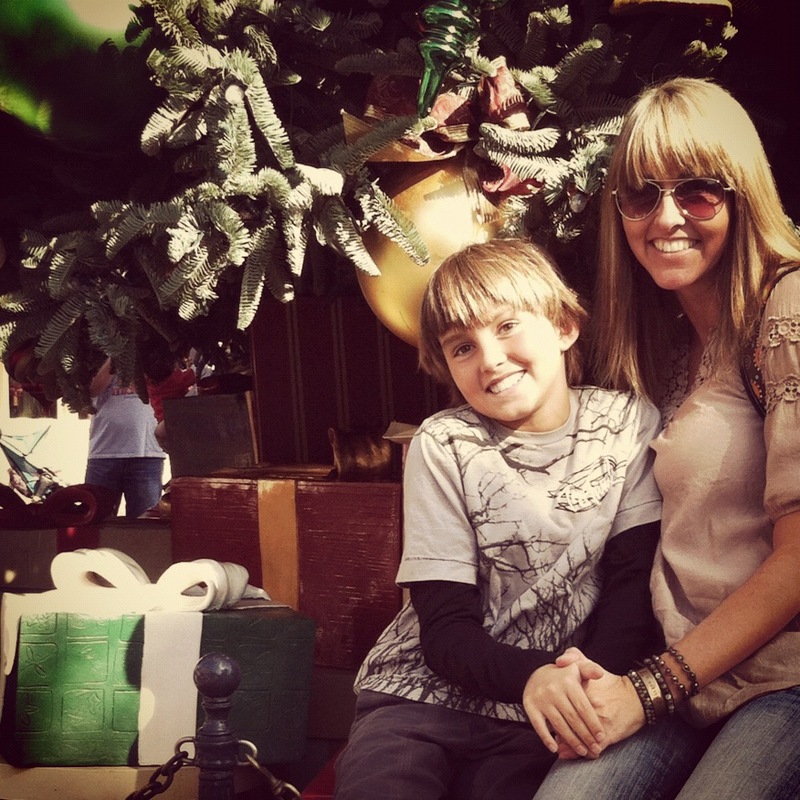 Many unknowledgable well-meaning family and friends question my choices with my ASD son. Im currently getting a masters in educational psychology. My focus? ASD kids. :-):-):-). I also teach 3 autistic teens in my special ed class. And yes! You have to go with the flow! These kids are individuals and need individualized education. I have no doubt you’ve done the right thing! Wonderful post! My daughter has Down syndrome, but I relate to your story, and will keep your message/lesson in my mind. I loved the part about choosing your son over others’ reactions; that was very powerful for me. Thank you for posting this. Thank you all so much for your kind words. I really enjoyed sharing my story, but when I realized that I did not come full circle in the article and how it pertains to my Mom, I felt so bad. After all, I learned how to be a Mom from her!!! She and my step-Dad have been amazingly supportive throughout our entire journey to acceptance and have even taken their own. My Mom is an amazing “Nanny” to Elliot and is always there for all of us whenever we need her. We are so very grateful for her love, guidance and support!!!! gooddogautism is Laura, Author of the post – sorry for any confusion I am not the most tech savvy! !